Steven Pressman, professor of economics at Colorado State University, delves into what defines the middle class and how it has been affected in recent years. Steven Pressman is Professor of Economics at Colorado State University, in Fort Collins, Colorado and Emeritus Professor of Economics and Finance at Monmouth University in West Long Branch, New Jersey. In addition, he serves as North American Editor of the Review of Political Economy, and as Associate Editor of the Eastern Economic Journal. His main research areas are poverty and income distribution, post-Keynesian macroeconomics, and the history of economic thought. 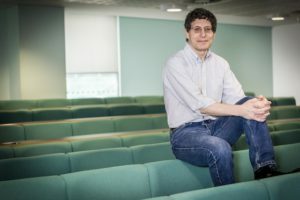 Over the past three decades, Pressman has published more than 150 articles in refereed journals and as book chapters, and has authored or edited 17 books, including Understanding Piketty’s Capital in the 21st Century (Routledge, 2015). A New Guide to Post Keynesian Economics (Routledge, 2001), Alternative Theories of the State (Palgrave Macmillan, 2006), and 50 Major Economists (Routledge, 2013), which has reached its third edition and has been translated into five different languages.He is a frequent contributor to newspapers and regularly appears on TV to discuss economic issues. The US middle class is struggling. People claim that they can’t earn enough money to be middle-class. Living standards have stagnated for decades. Politicians are divided about how to help. My research focuses on the size of the middle class in developed countries over time, especially what leads to more middle-income households and how to sustain a large middle class. Using surveys and studies of income needs, I define a two-person family as middle class with income between $38,000 and $111,000, and a four-person family as middle class with income in the $55,000 to $163,000 range. In 2013, 50 percent of U.S. households were middle-class, a steady decline from 60 percent in 1980. Other developed countries have a larger middle class than the US, ranging from 57 percent to more than 65 percent in France, Norway and Sweden. These other countries also have a more stable middle class. Several nations saw little or no change in the size of their middle class since the 1980s; the French middle class actually grew. These numbers call into question two common explanations for the dwindling middle class: namely, robots and trade. If technology and trade crush the middle class, all developed nations would look similar because all are affected by these two forces. Large national differences point to national government policy as being key. Two important policies, both missing in the US, are child allowances and paid parental leave. Child allowances are payments made to families each month to help them raise their children. Paid leave replaces lost wages around the birth of a child. These two policies increase the size of the middle class families with children in developed nations by 10 percentage points. It is clear that good policies can support the middle class. But we need politicians to pay attention.